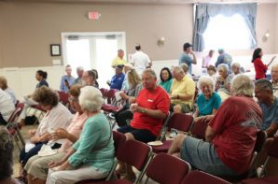 This Saturday, we hosted out annual Town Hall Meeting at the Firehouse. 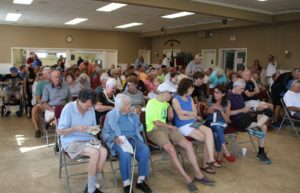 Over 120 taxpayers attended — our largest town hall meeting crowd to date — and got their questions answered about this year’s property tax reassessment process. 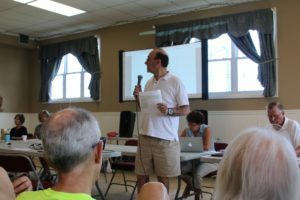 We walked through the process, the Borough Plan and what you can expect over the coming months. 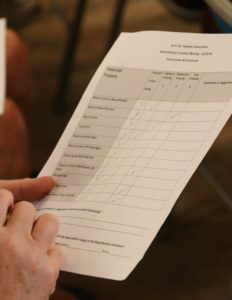 Our guest speaker, Walter Higgins also handled the Q&A where questions such as do I have to be home for the assessment, what is the criteria, and how will this effect the value of my home were answered. You can see an overview of the presentation below. We also covered the topic of Town Beautification. 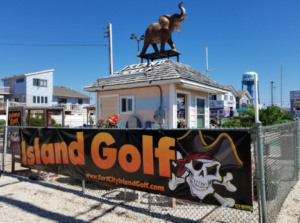 Our aim is to create a community-wide initiative to make Surf City the most attractive and inviting town on LBI. 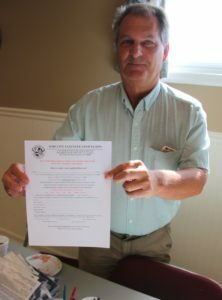 This will be a multi-year effort requiring a partnership between residents, business owners and the Borough. 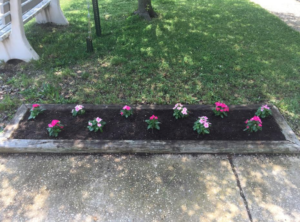 Many taxpayers voiced their opinions and ideas of where our beautification efforts should be focused. 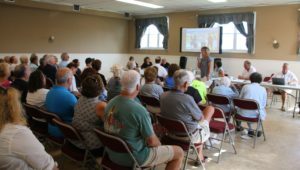 If you missed the meeting and have any ideas for this program or would like to weigh in on possible beautification projects, first click on this document: 8-25-18 _pdf_ Town Hall Meeting – Presentation on Beautification – Instructions for Filling Out Rating Form . Then, you can download the Rating Sheet called the Scoring and Prioritizing of Beautification Projects. 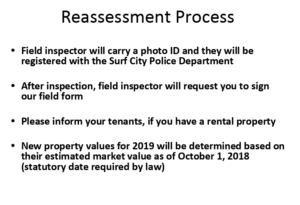 Please feel free to download the form now, print it, fill it out and send it back to us attached to an email or to our physical address (218 N. 18th Street, Surf City, NJ 08008). 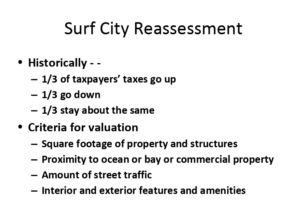 Or just email us at surfcityta@gmail.com with any questions or answers! Thank you to all who showed up, and voiced your opinions. A shout out also goes to Bagels & Beyond where breakfast was purchased. 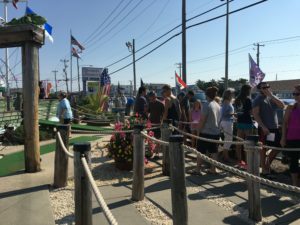 Massive turnout at the last Mini Golf Tournament of Summer 2018! 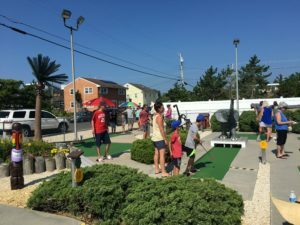 The Surf City Taxpayers Association hosted their second Mini Golf Tournament of Summer 2018 at Island Golf on Wednesday, August 15th. Groups of players competed spread among three age brackets: ages 8 and under, 9-15yr and 16 and over. In the 8 and under group, Claire came in first with a score of 46, Mason came in second wth a score of 54, and Henry came in third with a score of 54. 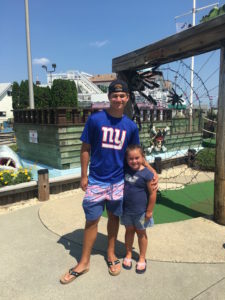 In the 9-15 yr old age bracket, Kori came in first with a score of 34, Ryan came in second with a score of 36, and Keegan came in third with a score of 38. 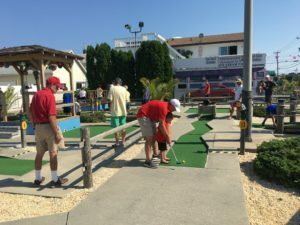 In the 16 and over age bracket, Duncan came in first with a score of 34, Melissa came in second with a score of 36, and Bill came in third with a score of 37. 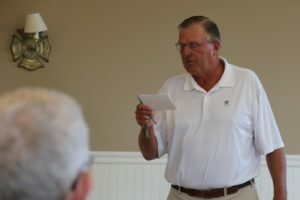 They celebrated with cash prizes. 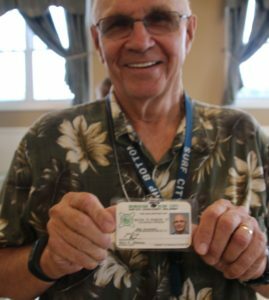 Thanks go out to the volunteers from the Surf City Taxpayers Association who were the scorers , and to the staff at Island Golf. 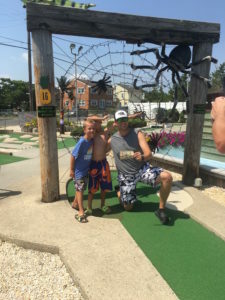 We look forward to seeing you all again next summer for more mini golf fun! Plenty more fun coming this August in Surf City! 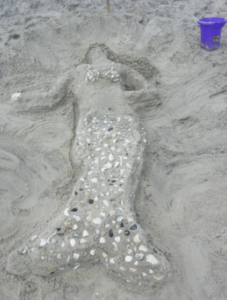 The first two weeks of August offered some great events including the Sand Sculpture contest, the Casino Bus Trip to Atlantic City, and another Surf The Sidewalk event with the Surf City Business Cooperative. 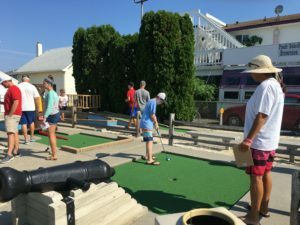 This Wednesday, August 15th, is the 2nd and final Mini Golf Tournament of Summer 2018. 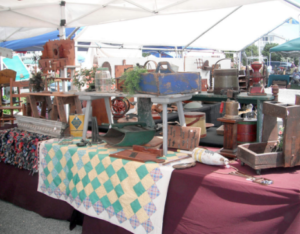 On August 21st is the Surf City Firehouse Flea Market. 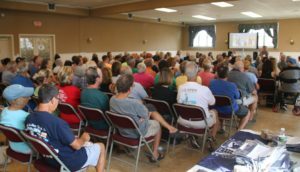 At the end of this month, on August 25th, join us for our Town Hall Meeting. Read on for more details about these events and more! 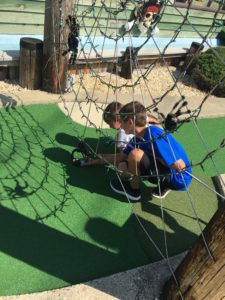 This Wednesday, August 15th at 10:00am to 11:45am, join us at Island Golf (6th Street & The Blvd) for the second of our annual Mini Golf Tournaments. 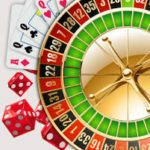 Cash Prizes go to 1st, 2nd, 3rd place from $10 up to $50! Groups of players compete spread among three age brackets: ages 8 and under, 9-15yr and 16 and over. Join the Fire Department this Tuesday, August 21st at the Surf City Firehouse (713 Long Beach Blvd., Surf City, NJ) for our annual Flea Market! There is no admission charge. Bring your family and friends to shop the inside and outside vendors. Also participate in the Silent Auction and the famous Bucket Raffles for a chance to win new and donated items and gift cards. 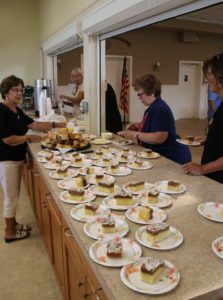 Refreshments, beverages and baked goods available. New and nearly new items, along with crafts, books and much more also for sale! Join us Saturday, August 25th at 10:00am at the Firehouse (coffee and breakfast treats at 9:45). 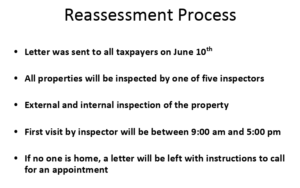 Topic 1: We’ve received many requests to provide information on the current property tax reassessment process. 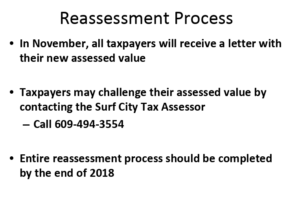 Get a recap of the reassessment process and bring your questions for our guest speaker: Walter Higgins, Surf City Tax Assessor. Meeting Topic 2: We plan to share our vision for “Beautification of the Borough” — and extend an opportunity to partner with you as we begin the work. 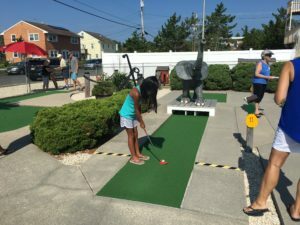 Our aim is to create a community-wide initiative to make Surf City the most attractive and inviting town on LBI. The last wild month of the Summer is upon us! 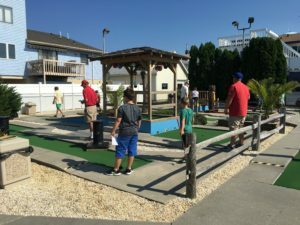 Over the next few weeks we will have some awesome events such as the Casino Bus Trip to the Tropicana in Atlantic City, the Sand Sculpture contest, our Town Hall Meeting, and the 2nd Mini Golf Tournament of the Summer. There are some additional details and changes to our calendar. Read on for more details about this weeks’ events! Monday August 6th, bus departs from St Thomas Parking lot and 14th Street Surf City at 9.00 am and returns at 6:00 PM. The cost is Twenty dollars and each person will receive back $15.00 in slot dollars and a free show ticket to see Kevin and Caruso Magique Show Grand Illusions 3:30 PM to 4:30 PM. The bus only holds fifty six so call today! home trophies…plus certificates for all participants! The rain date is Thursday, August 9th at 10:00am.